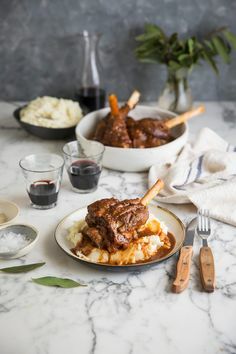 I have been drooling over this recipe for quite some time, and its Franck Dangereux from the Foodbarn’s ‘hands-down favourite dish of all time’. As one of my culinary heroes, who can argue with this. I came across it again whilst reading Franck’s awesome new cook book ‘Feast at Home‘ which I had borrowed from a friend. I stopped at page 64, literally marched into the kitchen and set about making this delectable onion, fresh thyme, and anchovy and olive tart. I could not wait another moment to eat this. This pizza tart has all the flavours that I love. Franck explains that it is a traditional Provencal dish deriving its name from pissalat, which is the fish paste made by fisherman using small anchovies or sardines. The sweet caramelised onions work so perfectly with the anchovies, olives and thyme. Feast at Home is Francks second masterpiece book. I raved about his first book Feast here, and this book, like his first, is filled to the brim with inspiration for me. Franck introduces each recipe with a personal anecdote about the significance it has to for him, or of its origins, and I found this to be a highlight of the book. He is so incredibly generous in his love of cooking and is always willing to share his knowledge. As I have got to know him, it really felt whilst reading the book that I was in conversation with him. So personal and honest, I may or may not have shed the odd tear. This book is not aimed at a beginner cook, although many recipes are very doable for such a person, but rather someone that loves food and flavour and is looking to be inspired in cooking way beyond the ordinary. This pissaladiere requires a bit of effort to make, but carefully planned, and if you make the onion mix in advance, this is very manageable and worth every bit of it. I made the dough and then set it aside to prove. I then made the onion mix. When the dough felt ready, I assembled it all and baked it. To make the onion mix – can be made in advance. Heat a generous amount of olive oil in a medium sized pan and when hot add the onions, garlic and thyme. Reduce the heat and cook slowly for 20 – 25 minutes until the onions are really soft and a light golden colour. Do not let it brown. Add the chopped anchovies, season with a little pepper and set aside or refrigerate. Place the flour, salt, sugar and olive oil in a bowl, add hte yeast and pour over hte water. using your hands work the dough to form an elastic dough. Cover the dough in the bolw with a cloth and allow it to prove until doubles in size. Then knock the dough back and roll it into a ball on a floured surface and roll with a rolling pin until it is 1/2 cm thick. Take the onion mix out the fridge if its there and spread it on the base leaving a 1 cm rim around the edge. Allow the pissaladiere to prove a bit before preheating your oven to 180C. On a hot day this should take around 30 minutes, and on a cold day around 45 minutes, so work it out accordingly. The rim of the tart should puff up. Just before it goes in the oven arrange the anchovy fillets and the olives evenly, and bake on the middle shelf for 20 – 25 minutes until the bread base is cooked. As it comes out the oven drizzle it with olive oil and allow this to soak in a bit. Franck suggests never eating it hot because the flavours need time to mingle. Room temperature pissaladiere is best. I of course needed the perfect wine to drink with this delectable meal, and what better pairing than the Mount Abora Safronne Cinsaut Blanc de Noir 2012. Produced on Meerhof Estate, Riebeek-Kasteel in the Swartland it is light, fresh and crisp, made from an untypical variety – Cinsault, it is one of the most delicious rosé wines I have tasted in a while. The Saffronne 2012 is neither filtered, nor cold-stabilized so serious sediment may occur. the producers advise that you enjoy the wine as soon as it has chilled down sufficiently. Looks gorgeous from my old friend at The Foodbarn ! That topping looks delicious. I love anything with slow cooked onions. They always remind me of a superb goat and caramelised onion tart I had in Stirling, England on a trip there. Oooo I love goats cheese with caramelised onions. HI Stephen, yes Franck is indeed a master of his craft (and a really nice guy too).